Te Atatu made easy work of a determined Bay Roskill side at Mt Smart Stadium #2 on Saturday to secure their promotion into the SAS Fox Memorial next season. 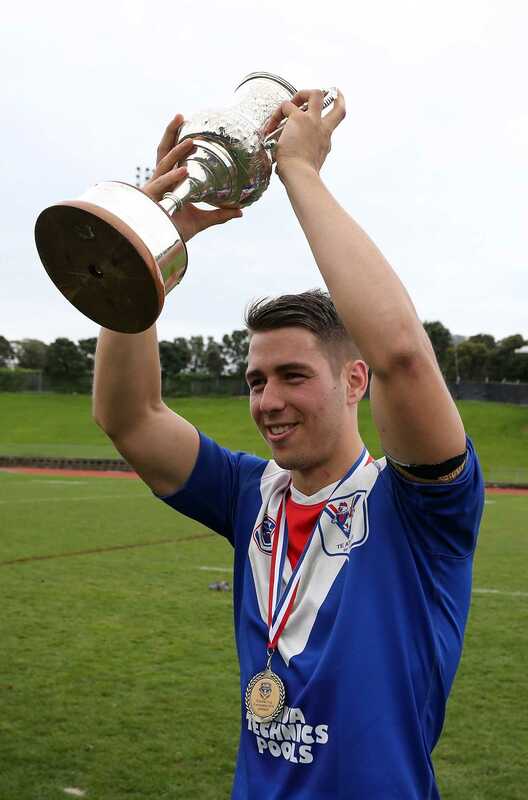 Dominating the regular season and winning the Phelan Shield (minor premiership), Te Atatu made no mistake of repeating last year’s grand final defeat. The Roosters came out firing with an early try to halfback Kyle Neal. Centre Peter Mills converted to give them a 6-0 lead. It wasn’t long before the Roosters crossed for another, with Neal spinning in a tackle while offloading to prop Stewart Pruess who passes back to Neal to get over the line. Camped on the try line, the Vikings had an opportunity to score, but were taken back by a dropped ball. There was no stopping the Roosters who 5 metres from the try line saw Neal with the dummy again passing inside to Paea Teu who scored just right of the posts. A minute left on the clock and Neal took a drop goal to take a 25-0 lead to the sheds. The Vikings were straight out the gates in the second half, scoring in the first minute on the left edge. But an unsuccessful conversion kept the score at 25-4. Two minutes later and the Roosters hit back with Pruess scoring under the posts to get up 29-4. It wasn’t over for the Vikings though with tries to halfback Tamali’l Guthrie and a hat-trick to wing Dale Williams. But it was too little too late which saw Te Atatu seal the 31-22 victory, and promotion to the SAS Fox Memorial Premiership for 2016. Rooster captain Kyle Neal said it was a huge accomplishment for the club. “There’s been a massive turn around in the last couple of years, [and] all the hard work has paid off,” he said. “Moving into the Fox will mean a lot of hard work and a big pre-season. Te Atatu 31 (Peter Mills, Kyle Neal x2, Stewart Preuss, Paea Teu; Peter Mills x5 goals, Kyle Neal x1 drop goal) BEAT Bay Roskill 22 (Dale Williams x3, Tamali’l Guthrie; Partiti Matiu x3 goals). HT 25-0.